GALWAY, TYRONE AND Cavan all enjoyed wins today in Division 2 of the Allianz football league. Galway were impressive in their 1-18 to 2-12 victory over Derry in Celtic Park. The three point defeat flattered Derry, who scored two late goals to take the gloss off Galway’s win. The Tribesmen were excellent at times with Johnny Heaney and Eamon Brannigan their stand out performers. Brannigan pass set up Adrian Varley for Galway’s only goal two minutes after the break, handing Kevin Walsh’s side a 1-11 to 0-7 lead. Galway’s lead increased to ten points before Emmet McGuckin and Niall Loughlin found the net for the Oak Leafers to make the score respectable. Tyrone did just enough to see off Laois and make it a third straight win in Division 2. Tyrone were made work hard for the 1-14 to 0-14 victory, and Mickey Harte can be relatively pleased with their display. Padraig McNulty’s goal 13 minutes from time gave Tyrone breathing space, but the visitors kicked five unanswered points in a tense finish. However, Tyrone held on to take the spoils. Cavan turned a eight point deficit into a seven point win (1-20 to 1-13) over Meath in a remarkable game. Meath, who finished with 14 men after Paddy O’Rourke was dismissed in the 73rd minute, led by 1-9 to 0-5 at half-time with Eamon Wallace scoring the goal. The Breffni men were wasteful in that first half though, and they turned things around after the break. Ten Cavan players scored in the second-half and Seanie Johnston finished with six points before receiving a standing ovation from his supporters when he was replaced with two minutes left. Email “Seanie Johnston leads Cavan to comeback win as Galway and Tyrone also triumph”. 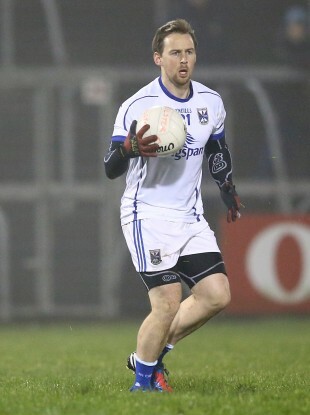 Feedback on “Seanie Johnston leads Cavan to comeback win as Galway and Tyrone also triumph”.